Eating With Hands in the US With Colleagues - Yes or No? One of the most common questions Indians especially from Kerala and Tamil Nadu ask me about their business trip to the US is, "Can I eat with my hands with my American colleagues?" (onam feast) with her hand. holidays in south Indian offices. While many (not all) Indians do eat all meals with their hands, and reserve the use of a spoon for soups or cakes, this topic hits close to home and heart. 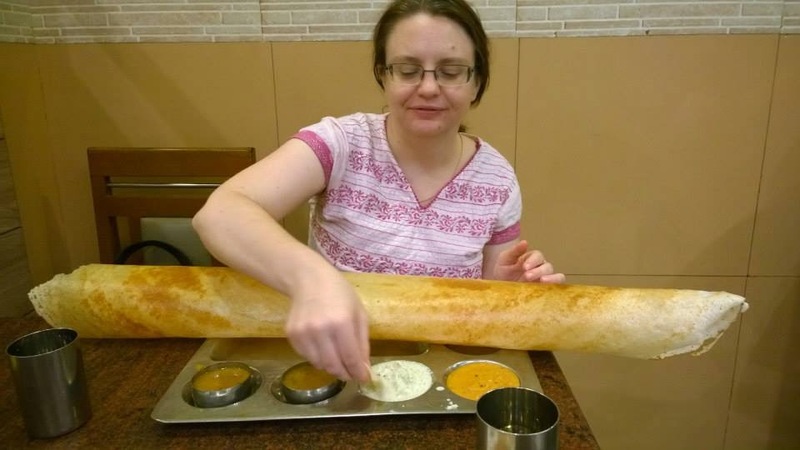 As an American who has been living in India a total of more than six years (Chennai and Kochi), who also enjoys eating Indian food with her hands, for me this is also an emotional topic. To help you avoid any unnecessary challenges with your US colleagues, the below ideas can be helpful depending on your situation. Ask any other colleagues onsite at the location that you are going to that you trust for tips, as the culture of each office or site (even within the same company) is slightly different. Do not ask people you think will try to tease you and suggest the wrong etiquette. Find out if onsite has particular HR policies especially regarding foods allowed in the office. Many companies will have specific written policies on these rules, that can be used as a guideline. Go onsite, try to use a more Western approach at first. Play it by ear or watch your other colleagues to see how they behave. See what the ideal is and try to follow that. 1. Can I eat with my hands while going out to restaurants in the US? hand at a popular Kochi restaurant, Vrindavan. Yes. If you go to American restaurants and order foods like sandwiches, pizza, and other similar foods, in most cases eat with your hands. If you aren't sure, you can do one of two things - ask or watch others and then follow their lead. Don't feel embarrassed to ask. It will give you a chance to make small talk and also to learn something about the American culture from an American. Be careful of foods like chicken drumsticks and chicken wings. Fat burgers may also be problematic. Take the lead of your colleagues on that one. lunch at Ammaveedu (mother's house). It's acceptable to eat with your hands there. Most restaurants serve North Indian cuisine and not South Indian. Most Indian food in the US restaurants may not taste as you expect it to (it's Americanized!). Your American colleagues may be interested to learn how to eat with their hands, and ask you to teach them! If you eat rice, do not walk around with rice pieces on your hands (in the restaurant or if you can eat with your hand in the office). Indian restaurants may give a water bowl. If it's a buffet restaurant, wiping hands completely clean before going up to get your next serving is ideal. The same tip works for the office, when going to wash up after eating. Can I eat with my hands in the office? Confine the eating to the fingertips, not past the mid point between fingernail and knuckle. Mouth rinsing is not common in the US. Wash basins (known as sinks in the US) are only in restrooms and not in public areas. Do not leave food pieces behind in sink drains. 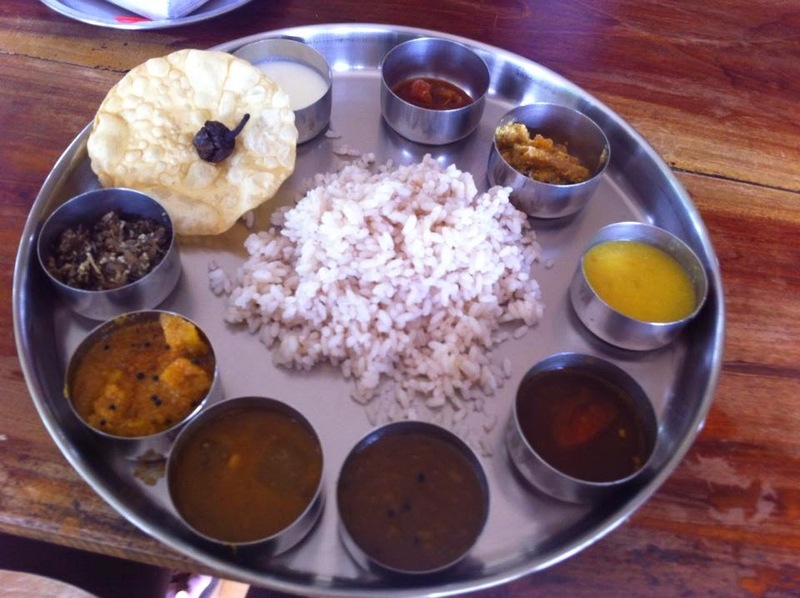 Try eating Indian food (especially rice and sambar types of dishes) with a spoon in India first. If you have never done it, and doing it for the first time in front of your US colleagues, this could be tricky. Meat dishes in the US are not usually cut into small pieces like meat or fish based curries in India. Learning to cut with a knife and fork is essential. Do not eat steak or fish with your hands. Cut a few pieces off first, then eat those. Do not cut the entire steak or fish at once then eat (this is how kids usually eat). I can understand that this is a culture shock. This is a culture shock even for those who have been born and raised in the US when they start their first job! While most Americans may not eat with their hands, in larger cities, many Americans enjoy eating a wide variety of ethnic foods. Upon starting their work-life, to find out that many of these foods can be eaten when going out to eat, but not always appreciated inside the office is a confusion for many Americans as well. Because of this, I can empathize the confusion that some face when learning about these rules. In case you find yourself in a situation where you break a rule (knowingly or unknowingly), simply apologize and find alternatives for the next time. 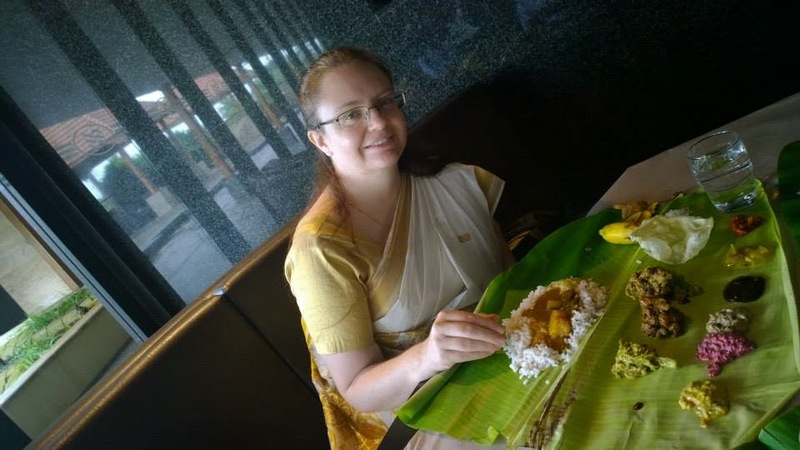 Jennifer Kumar is an American living in Kochi, India helping prepare your India teams for going onsite. Instructor led face-to-face programs are available for those in India. For those not in India or already in the US virtual programs are available as requested for onsite expat employees who require specific US corporate culture orientation sessions.